Driving his #12 Verizon-sponsored Penske Racing car, Power's top time almost mirrored his fastest effort during Friday practice. As qualifying concluded, the #12 Penske Racing car was almost a mile per hour average faster than the performance of his closest time trial rival. Starting on the front row, sophomore driver Mike Conway impressed by recording the 2nd fastest time. Through a drastic pick-up from Friday practice, the #24 Dreyer & Reinbold Racing flew to time of 1 minute, 10.6510 seconds. Only his 3rd career appearance in the Firestone Fast Six, Conway run is also his best qualifying result entering into only his 20th IndyCar race. 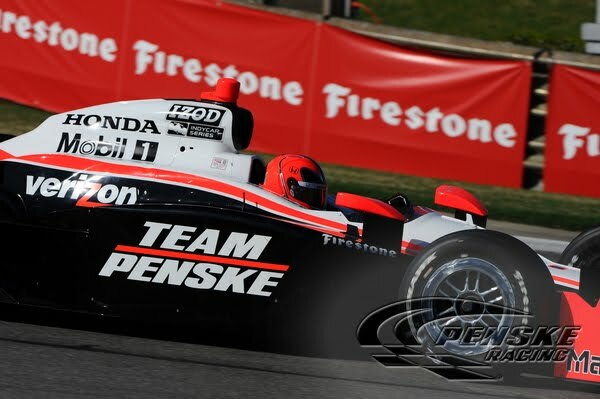 Another Penske Racing car which backed-up on the Friday performance the #3 of Helio Castroneves. Snatching 3rd in the timed session, Castroneves commented on starting near the top of the inaugural Indy Grand Prix of Alabama grid saying "It's always important to qualify upfront, no matter what place. But certainly here it seems to be a very challenging place." Also acknowledging in a post-qualifying press conference that pit strategy will be an unknown for many teams, Helio Castroneves props up his team saying "We'll continue doing very, very well. But for the No. 3 guys, we are stepping up every race, so hopefully tomorrow will be a good day for us.". Wrapping up the Firestone Fast Six is Andretti Autosport's Marco Andretti, Scott Dixon Target/Chip Ganassi, and Japanese rookie Takuma Sato driving for KV Racing. Fourth place in the session Marco Andretti was asked in post-qualifying about the obvious small gains in Andretti Autosport. Responding to what changes have been made to Andretti Autosport, Marco Andretti responded "Making the car's comfortable for us to drive. The difference is, and the thing I've personally been pushing for in the off‑season is you listen to your drivers a bit more than what the computer tells them." After qualifying, Scott Dixon seemed mildly impressed with his #9 car. "So surprised we made it into the Fast Six with just how the car is handling. But we'll take another stab at it tonight and hopefully try and make a few changes for the warm‑up, and get some consistency back in the car, especially for the race tomorrow." Dixon said. The inaugural running of the Indy Grand Prix of Alabama is set for Sunday April 11th at 3:30 p.m. airing on the Versus in the United States and TSN in Canada.